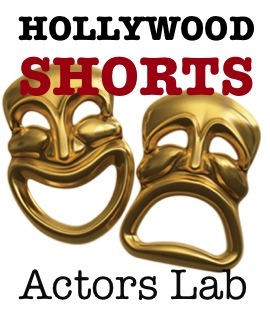 Our ACTING FOR THE CAMERA Lab is a four week workshop, where each actor will work a scene with a scene partner, and focus specifically on the scene for the entire lab. Each team will work their scene with director Michael Bond, explore blocking and scene development and then the scenes will be filmed. Actors are encouraged to stretch and experiment, try and try again, explore and investigate character and story in a safe and supportive environment. ACTING FOR THE CAMERA Lab will focus on different techniques, developing actor relationships, approaches to working with the camera, and understanding basic filmic language, ultimately informing your on set experiences. Our Emerging Filmmakers Program (EFP) hosts a full line up of filmmaking seminars and labs. Our monthly seminars encompass a wide range of topics and issues, designed for all ranges of experience and formats. The HS/EFP Actors Labs offer innovative and creative approaches to practical knowledge to empower and prepare actors for their next on set creative collaboration. Michael Bond is an award winning director and screenwriter, from Perth, Australia. Michael co-founded the Perth Screen Acting Workshop, which is now in its 21st year. He has taught writing & directing, and has mentored filmmakers & actors in workshops, film schools and on set for 20 years. Michael has worked extensively in Australia’s film and television industry, with directing credits in industrials, music videos, stage productions, tons of shorts and interstitials, and television. Michael now resides in Los Angeles, and he works as a director and writer. He recently completely pilot for SyFy Channel with writing parter Michael Petroni. His recent feature film PASSENGERS starring Cameron Daddo was shot in car driving from Santa Monica to Los Feliz. The film was an official selection at the Mill Valley Film Festival, Ashland Film Festival, Cannes Cinephiles, and was a nominee for the Screen Producers of Australia Assoc.’s prestigious Dig-SPAA Award. 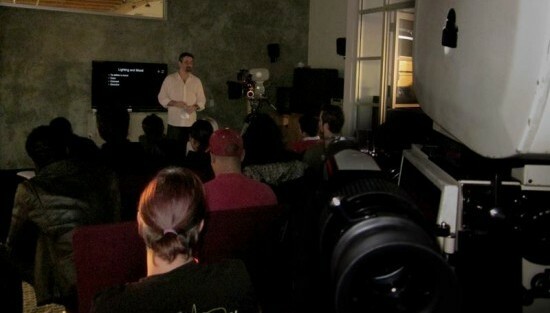 Cinematography Lab 1.01 – Apr. 4th Cinematography Lab 1.04: Camera Lenses & Accessories – Mar. 7 Michael Landers’ debut feature PEACOCK premieres!